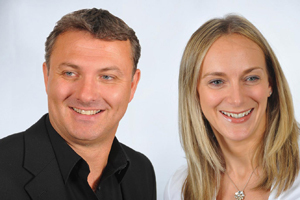 Fresh has recruited staff to bolster its Avon team and for the launch of a new B2B gift card. Natalia Ashton-Togher, previously from BJL, joins the Cheshire-based firm as senior account manager on the Avon team. She is joined by Adele Tinker, previously at Leeds-based agency Logistik. Meanwhile, Patrick Howells has been promoted internally to business development director. Elsewhere in the Fresh group, Mike Holt joins the Freshcreate sales department as new business manager from SLG Marketing. In addition, Freshrewards has appointed David Fleming as business development manager, to launch a B2B Freshtravel gift card. Other appointments include Donna Wan, who joins the travel team from Kuoni and Craig Bennett, who joined as group bookkeeper. Fresh group managing director Nick Porter said: "Following a great year in 2009, the first six months of 2010 have far exceeded our expectations and we have experienced an uplift in new and existing business. Our new team members join us to deliver that business." He added that three further appointments are expected to be made next week.